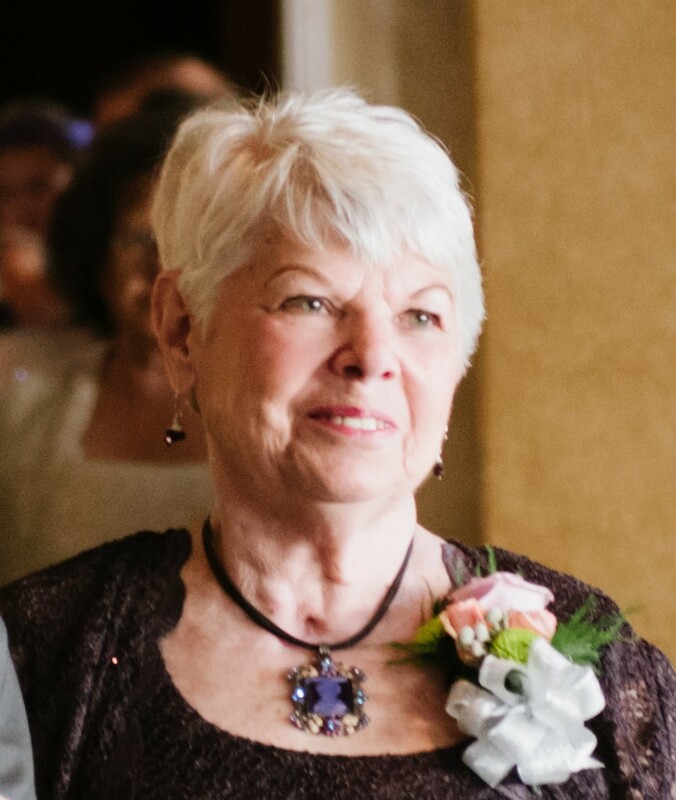 Delores Jean Mickley (Friedman), age 76, passed away peacefully in her home away from home in St. George, Utah, on Friday evening Dec. 22, 2017. Dee was born in Akron, Ohio, on April 28, 1941, to Nickolas John Friedman and Anna Marie Friedman (Metz). She was the youngest of six children, where her oldest siblings, Esther, Ruth and Elsie, were born 16 to 22 years prior, and were already married or out of the house not long after Dee’s birth. She actually attended school with some of her nieces/nephews who called out “Hi Auntie” as they passed her in the hallways. She grew up with Nick and Tom, her two older brothers in the small city of Uniontown, Ohio, and graduated from Lake High School in 1959. When Dee married Charles (Lon) Mickley in 1962, a whole new world opened up to her to include moving from base to base as the wife of an Air Force Officer. Between 1963 and 1969, Dee and Lon had four children born in three different states before they settled back in the Canton area. In 1982, Lon and Dee parted ways and Dee went on to become a personal lines supervisor with Leonard Insurance Services. Dee loved to read, play cards, entertain friends and spend time with family. After retiring in 1997, she became acquainted with dear friends affectionately known as the Golden Girls. They loved playing cards, going to concerts in the park, taking vacations and keeping each other current about the lives of their children and grandchildren. Her friends and family describe her as a beloved grandmother, aunt, sister-in-law and caring friend, with a gentle soul and a tender heart. In time, Dee moved to Utah to be closer to some of her children and grandchildren, allowing her to spend additional quality time with those family members. Dee was predeceased by parents Nickolas and Marie Friedman; sisters Esther (Kermit) Atkinson, Ruth (Harry) Stone, and Elsie (Tim) Oliver. Dee is survived by her brothers Nicholas (Eileen) Friedman of Barberton, Ohio, and Thomas (Carol) Friedman of Uniontown; daughters Debbie (Chris) Bosley of Charleston, South Carolina, and Kim (Paul) Picinich of St. George; sons William (Andrea) Mickley of Farmington, Utah, and Michael (Tiffany) Mickley of St. George; grandchildren Whitney, Savanna, Samantha, Nicholas, Tyler, Ashla, Kayden, Jared, Cheyenne, Trenton and two great-grandchildren, Violet and Zoii. Dee is loved by both the Mickley and Friedman families and she is also survived by her former spouse, Charles Mickley, a multitude of aunts, uncles, cousins, nieces, nephews, extended family members and her loyal feline companion Mittens. Memorial services will be held at Grace Episcopal Church in St. George, Utah, on Saturday, Jan. 6, at 2 p.m. and Karlo-Libby Funeral Home in Canton, Ohio, on Saturday, Jan. 20, at 5000 Everhard Road, Canton. Calling hours at 11 a.m., memorial service at noon, with interment immediately following at Sunset Hills Burial Park. In lieu of flowers, donations can be made to The Retreat Activities Department with checks payable to The Retreat at SunRiver, 4480 Arrowhead Canyon Road, St. George, UT 84790.